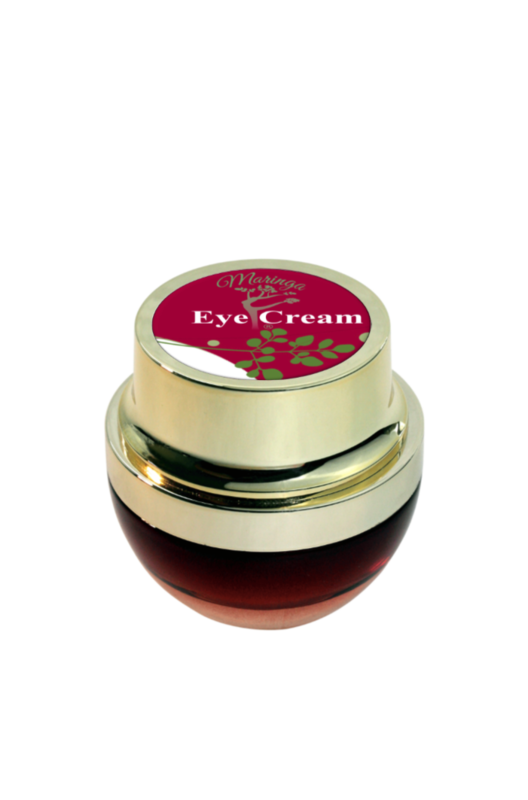 Using the scoop provided take a small amount and gently dot the cream under your eye area. Work your way from the inside bottom lid to the outside bottom corner. Continue with a dotting motion. Pay special attention to any problem areas where you have fine wrinkles or lines, even if those areas extend out from your eye line. Aqua, Moringa Oleifera, Emulsifying wax NF, Stearic acid, Theobroma Cacao, Cera alba, Glycerin, Tocopherol, Glyceryl Caprylate. All our products are formulated with anti-ageing properties. Proudly Australian made, and sourced from organic homegrown ingredients, our protective eye cream concentrates on the delicate eye area for nourishing effects. The cream, while gentle, works hard to add moisture and vitality into your tired, dull under-eye area, protecting against aging effects, and restoring your skin to a more youthful state with deep hydration and antioxidants. Harvested from our own farm, the ingredients in our gentle cream are completely organic, so you know your skin will be in the best shape. We extract the pure oils from the Moringa Oleifera tree, which is well documented to rejuvenate and restore the skin. We then combine them with cocoa butter, natural beeswax and Vitamin E – all of which contain natural skin care properties. The mix of organic ingredients works perfectly with the delicate areas of skin around the eye to give you a result you will absolutely love. 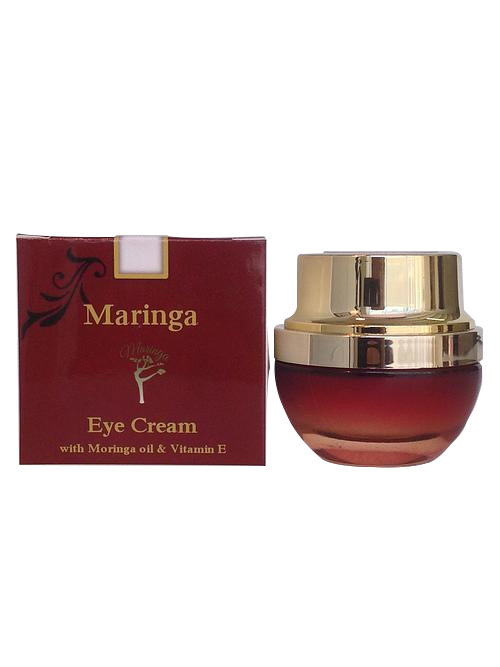 Since 2009, Skin Care by Maringa has been nourishing the skin of women and men throughout the country and the world. All of our products are tested by the registered London Natural Thinking Laboratory, where they receive independent commendations and certifications. Worldwide acclaim means they are the perfect formulations for your skin. We take pride in creating our organic products, growing our ingredients with pure spring water and sunlight. Comprising more than 90% organic ingredients, they really are the simple choice when it comes to skincare. Combine your eye cream with hand cream, and a facial night cream for all-over care. Wherever you live in the country, you will be able to enjoy the benefits of natural skincare. We use a pure concentration of Moringa oil to create a completely nourishing and restorative product that will help you see results in barely any time.